Chugga Chugga Choo Choo! We are going to creative places with these adorable loco motives from Little Agenda Trains! Mix and match these little train cars and the little agenda characters and watch your project come alive! The Tri Window makes framing up the Little Agenda Train images a snap! 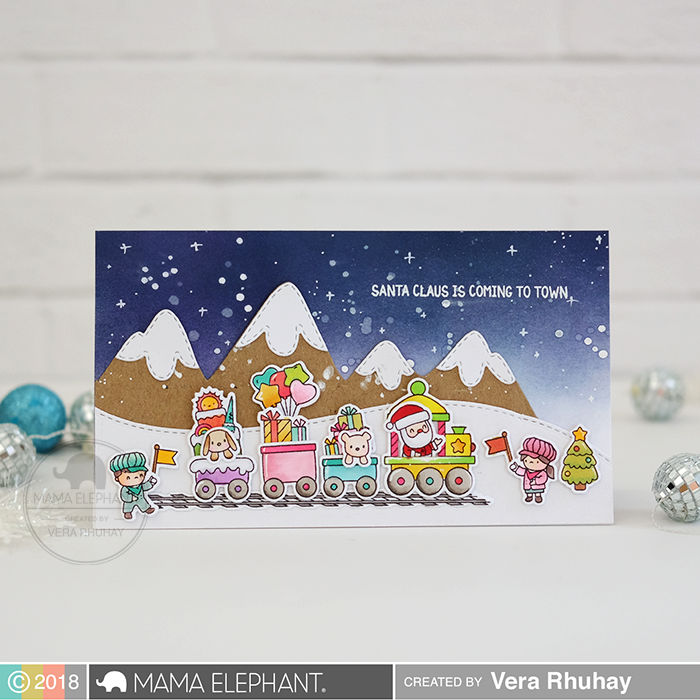 Keeway created a fun, snowy scene using the Little Agenda Trains and Little Elf Agenda sets. Her scene also uses the Snow Capped Mountains and Landscape Trio Creative Cuts, as well as little snowflakes from City Sidwalks. Her sentiment is from the Santa's Sleigh set. 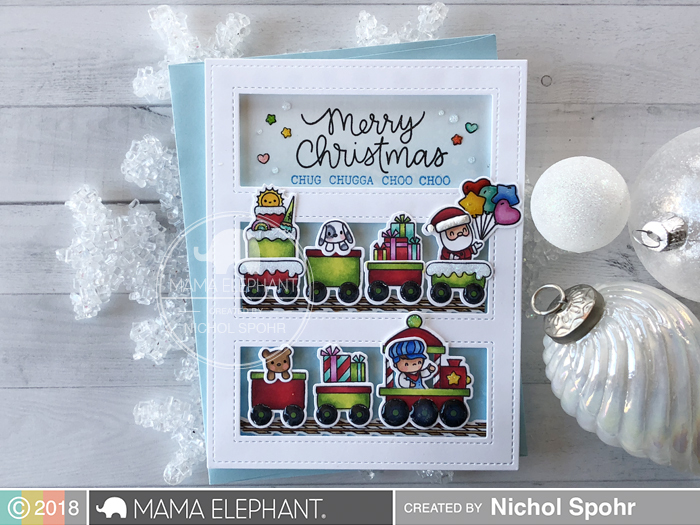 Such a sweet and cheerful card by Vera, she combined The Little Agenda Train set with the Snow Capped Mountains Creative Cuts. I’m in love with this little train! Can’t wait to get everything at our shop! Such a sweet set - I love that you included a puppy, I am a HUGE dog lover - thank you!! Hope to be able to pick up one of these before they sell out!! This is such a fun train set and lovely cards! I don't know if I can survive all this cuteness!!! Aww another group of great cards! Just so darling!